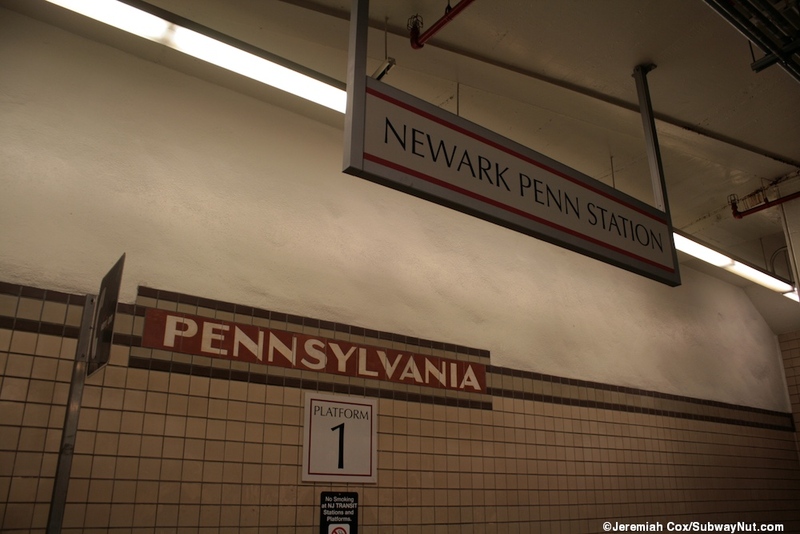 The Pennsylvania Station-Newark City Subway station opened beneath the rail terminal on June 20, 1937 extending streetcars that had originally been terminating at Broad Street (now Military Park) the stop before when the subway first opened in 1935. This was the same day the H & M Railroad (now PATH) was relocated into the station from its former terminus at Park Place. 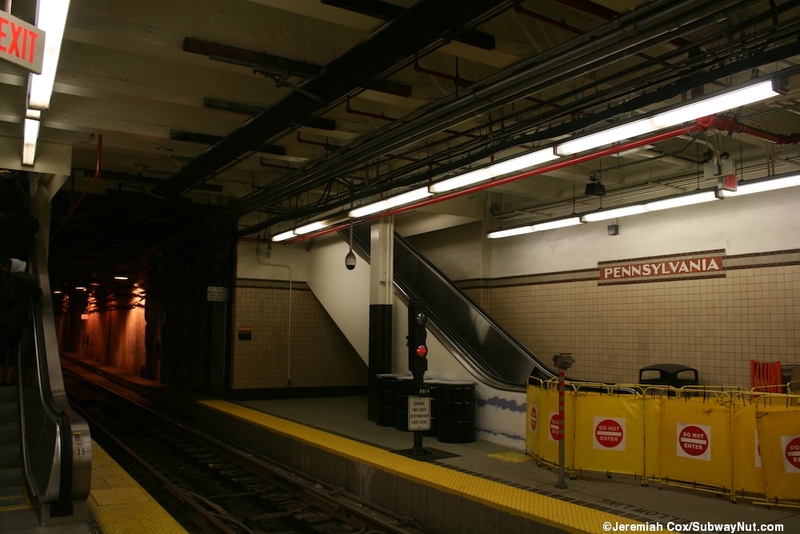 The trolley subway station is the only part of the Penn Station that is located underground. The station has more tracks than are currently in revenue service because it was designed to provide an efficient place to board and loop many different trolleys lines. It was also designed for single ended trolleys that only had right-hand doors so nearly every track in the station has a platform on each side. The station was also used as for storage and maintenance area for the single ended with right hand door PCC cars from the busitution in 1952 of the last subway-surface trolley routes on the 21 and 29 as the Route 7 City Subway became the only trolley route in operation in New Jersey for the next 48 years. It lacked a proper yard and maintenance facility anywhere along its route so the extra tracks at the Penn Station terminal were used instead. The PCC cars in service operated exclusively from the outermost tracks and island platforms with the inner tracks and platforms closed and fenced off in use as a storage yard. Since opening day the station was designed with the southern two platforms 5 and 4 as exit platforms where cars discharged their passengers and headed around the loop to the receiving platforms 3, 2 and 1. 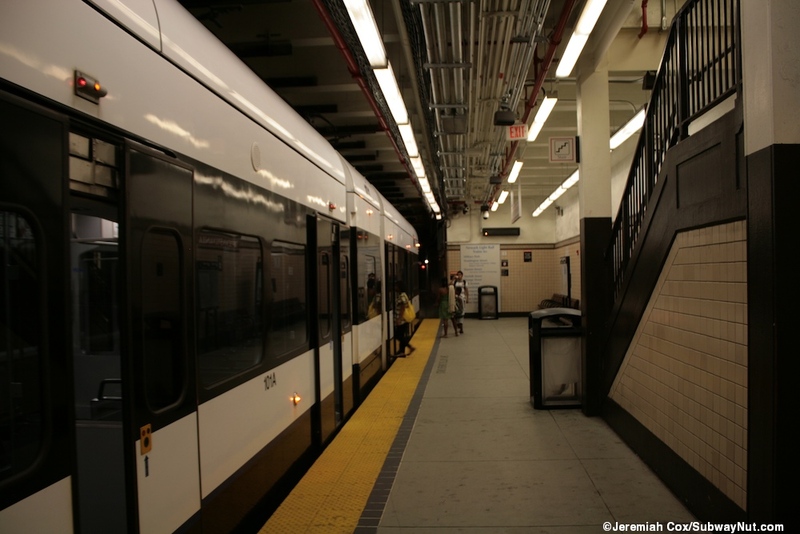 All the Rolling stock of the Newark City Subway switched from the PCC cars that were all discontinued on August 24, 2001 (replacement bus service operated over the weekend) to new LRVs on August 27, 2001. Part of the LRV conversion project extended the line to Grove Street in Bloomfield and included the building of a proper yard and maintenance facility there. 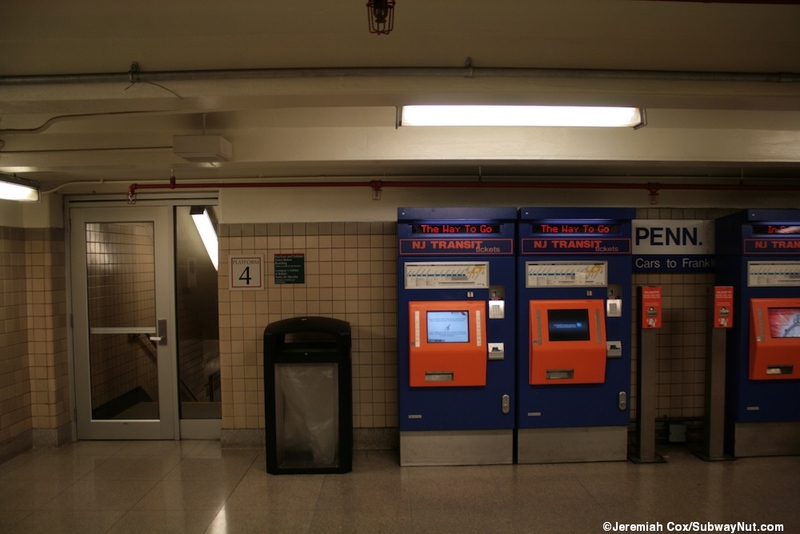 This ended the practice of storage and maintenance at Penn Station. The new double-ended LRVs have doors on both sides also began opening their doors on both the usual side platform and the middle island platforms. 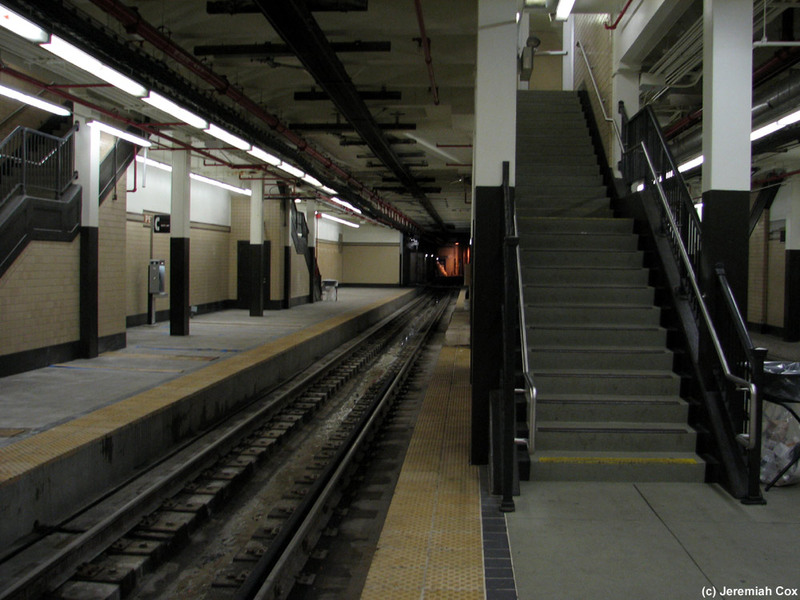 These middle island platforms had already been retrofitted with elevators making the station ADA compliant with the introduction of the new rolling stock. (The PCCs cars required steps for boarding). Today LRVs still reverse direction using a loop beyond the station and don't switch ends. In 2006 the new Broad Street Extension of the light rail opened. 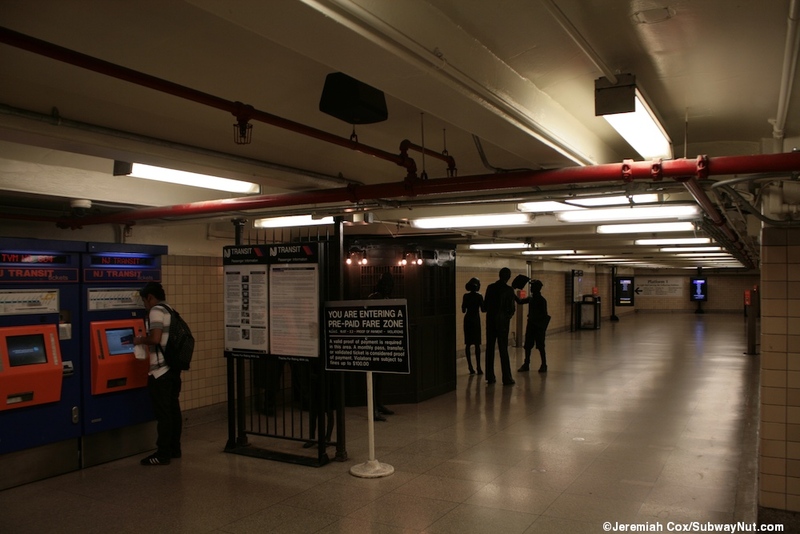 This make the subway station a transfer point between cars once again. The automated announcements instruct passengers to stay on trains as they stop to discharge all terminating passengers at the exit platforms and stay on the train around the loop before getting off at the platform used for receiving passengers. 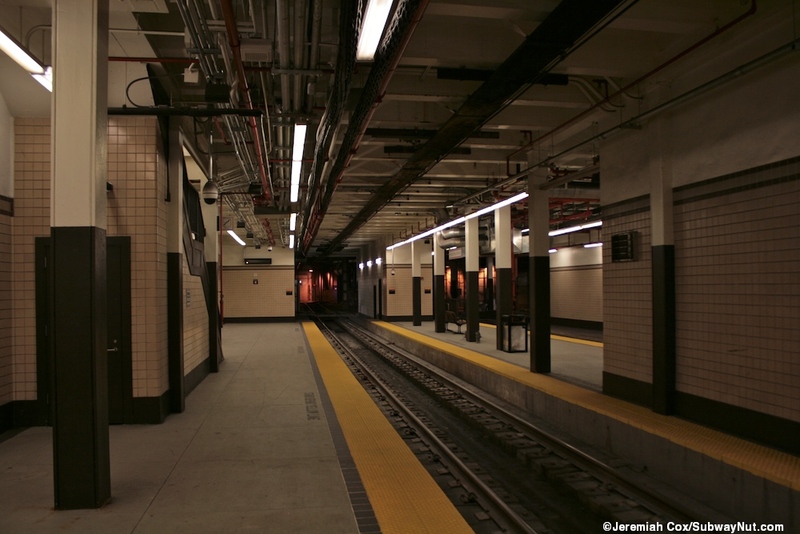 Starting in 2007 (this service exists to this day) weekend trains were through routed from Grove Street to Broad Street via Penn Station. 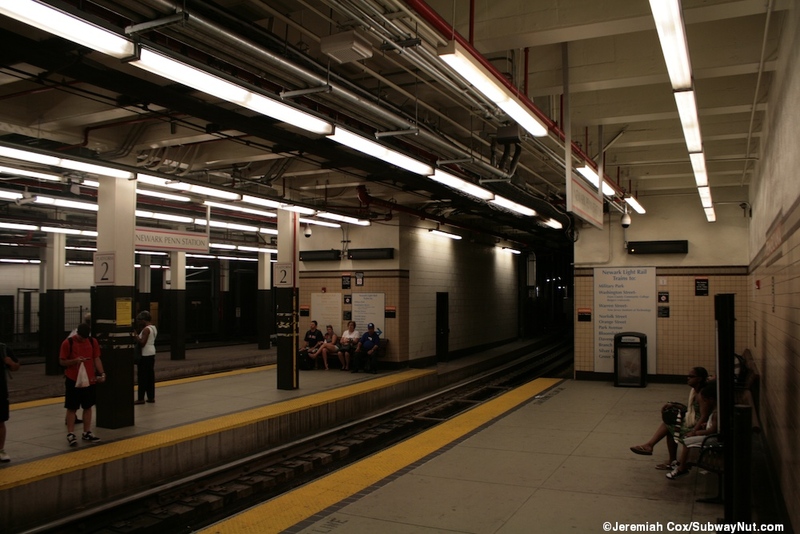 These trains actually stop at Penn Station twice, once at the exit platforms and once at the boarding platforms. 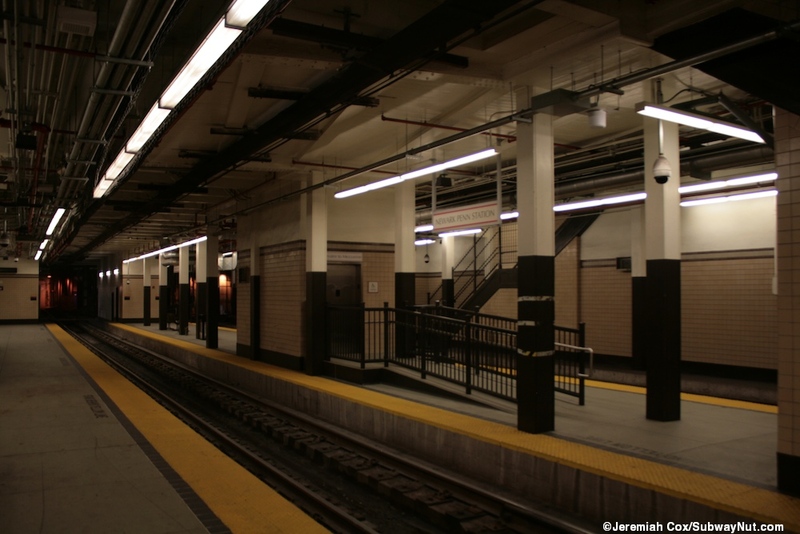 The track and platform configuration itself has Side Platform 1 — Track (used by Grove Street cars) — Platform 2 &mdsah; Track (used by Broad Street cars, opening there doors on both sides) — Platform 3 closed to the public, poerions have a fence running down the middle of it blocking it off — A through track not used in revenue service — a siding track that doesn't make it fully through the station and a full wall in areas that nearly sperates the entrance and exit areas — Track (arriving from Broad Street cars) — Island exit only Platform 4 — track (arriving Grove Street cars, opening their doors on both sides) — Exit side platform 5. 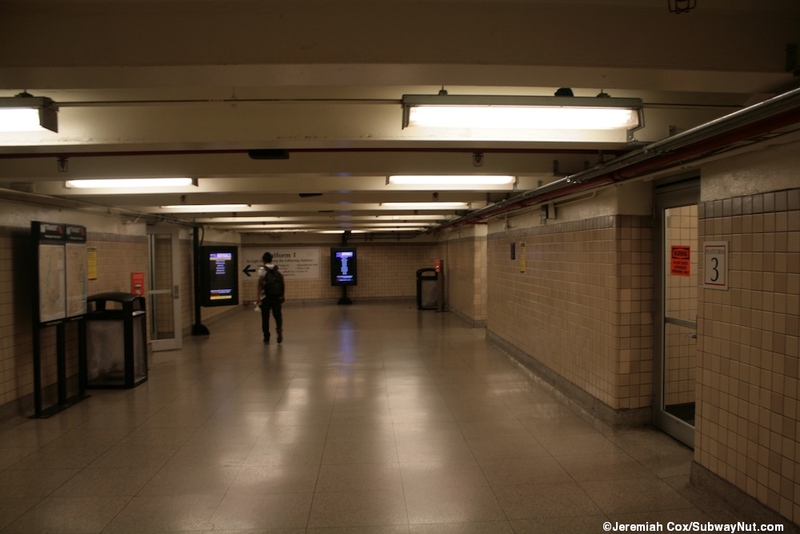 All the platforms are low-level with many square columns the bottom halves painted black, the top halves white that includes the platform's station ceiling. 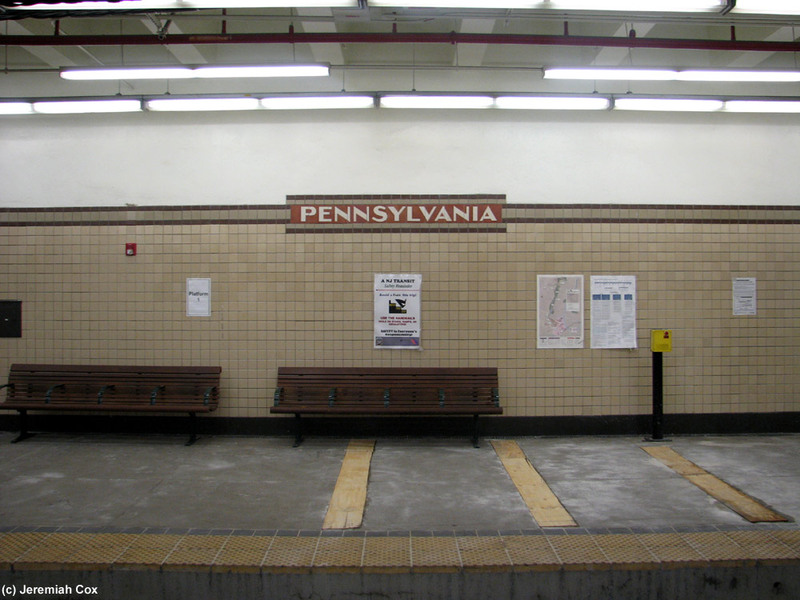 The walls of the two side platforms have light brown tiles with a darker brown trimline. 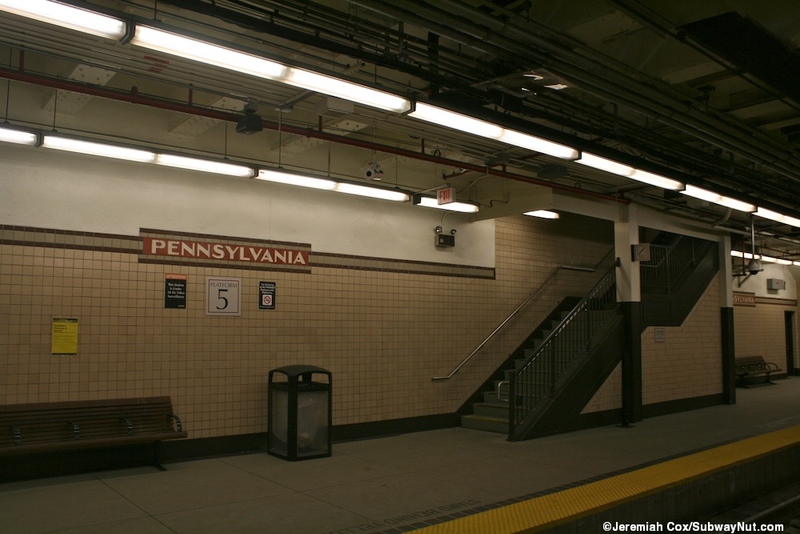 In this trimline tiles spell out 'Pennsylvania.' 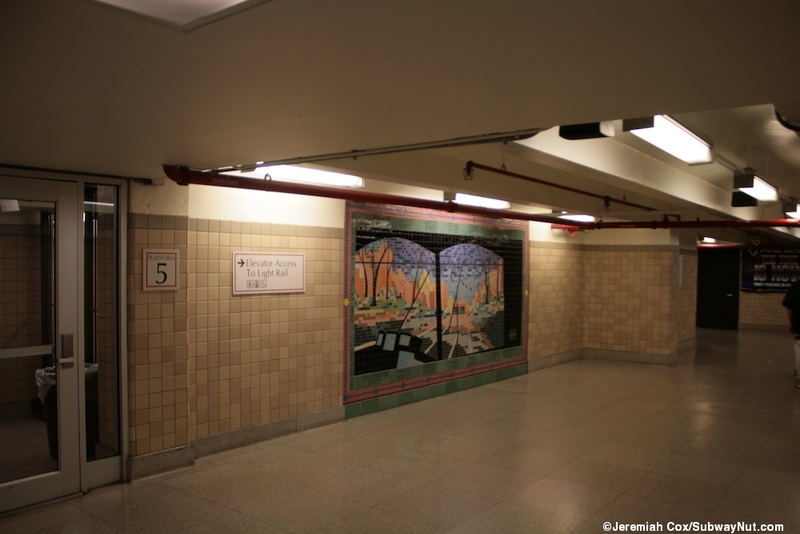 Along the exit platform for track 5 are a few of the WPA murals that the Newark City Subway is known for. Exiting passengers use one of two escalators each at the end of platforms 4 and 5 (just before the car loop) Passengers needing elevators go via the main entrance mezzanine, and there is no prohibition on exiting passengers using the stairs although no one seems to wanting that escalator ride. 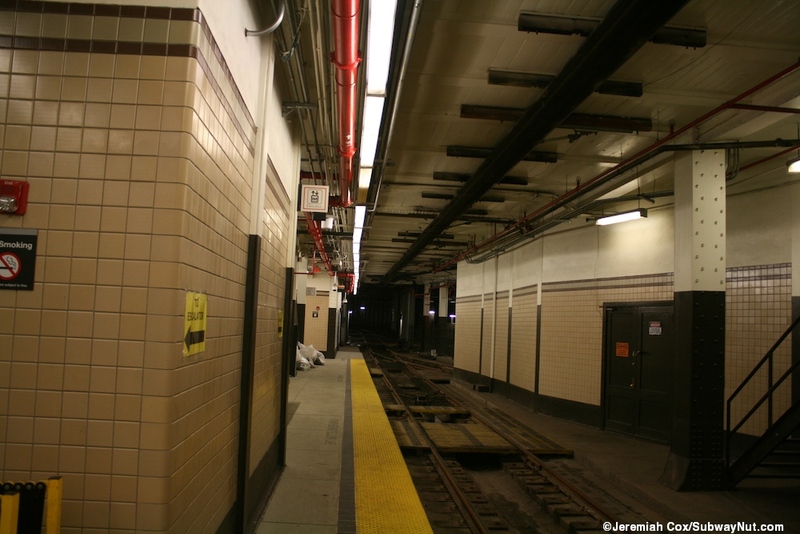 (That is also closer to the PATH platforms and other eastbound connections). The two escalators lead up to a tiny landing just before the exits to the Raymond Blvd bus lanes. 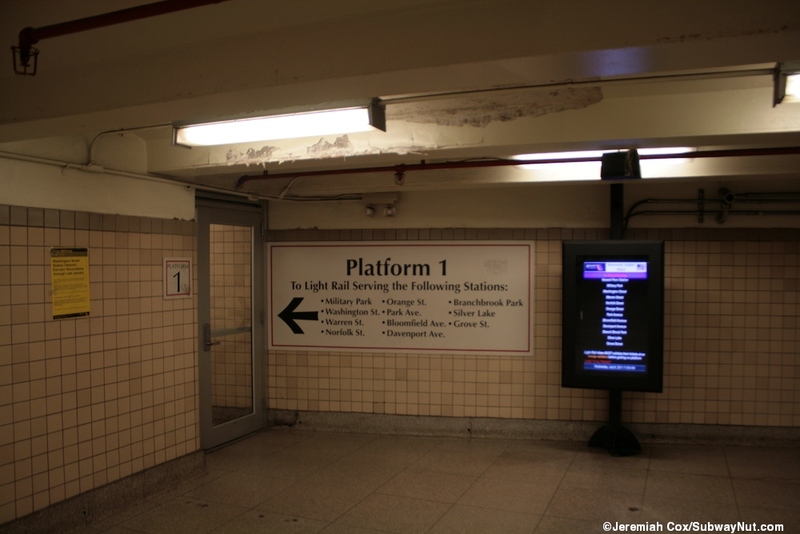 This landing has two closed ticket windows with wooden counters and silver grates covering up the former windows. Exit only automated doors lead out into the main station across from the mural The New Spirit Ensemble. Passengers wanting light rail service go down some steps along the North Corridor near the escalators up to the Gateway Concourse, beneath a nice old silver sign that says city subway. An elevator also leads down to this area. Its upper landing is near the entrance to the Greyhound Station. 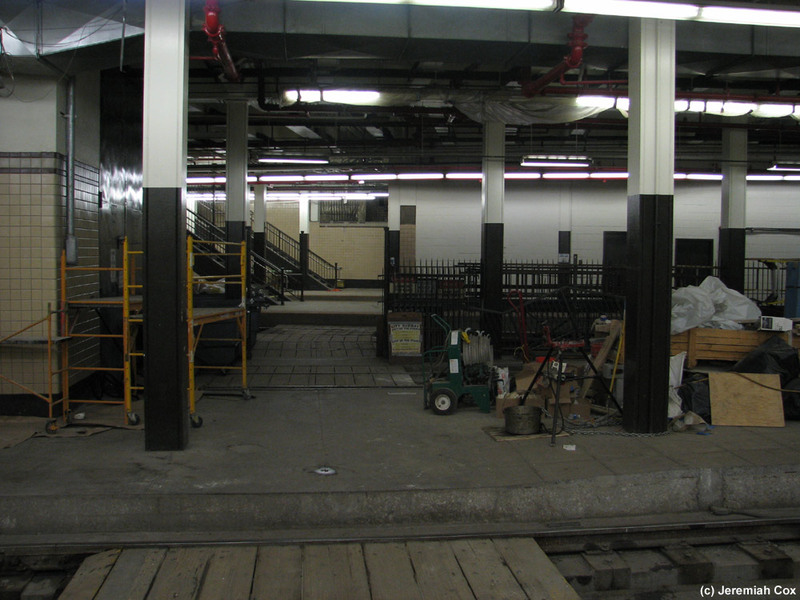 The stairs lead through doors and onto the light rail's underground mezzanine. This mezzanine brown tiles and signage that is similar to that in the rest of the station. 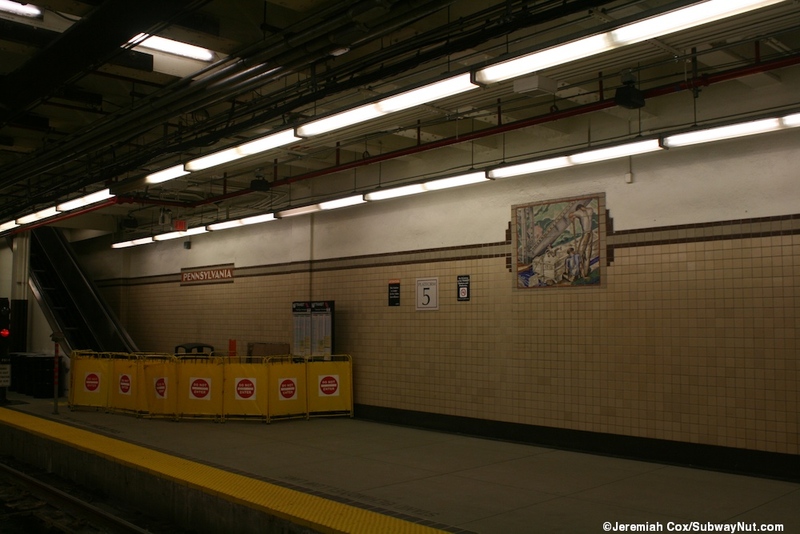 TV monitors like those in the station include a few of DepartureVision from the station, ads and one at the entrance to each subway platform that is programmed to list the next stops and departure time of the next cars, like their mainline NJT trains on the main platforms. All staircases down to the platforms have glass doors. First there are two staircases (one on each side) down to the exit Platform 5, this is followed by a mural by Hiroshi Murata, 1998. This mural is designed to look like the inside of a PCC from an operator's perspective and includes a strip map of the subway line. Next is an elevator and staircase down to the exit platform for Platform 4. Next is where the TVMs (4 finally are) and ticket validators and a few more scattered throughout the station. This is followed by a sign saying 'You are entering a Pre-Paid Fare Zone' and small section of fence. 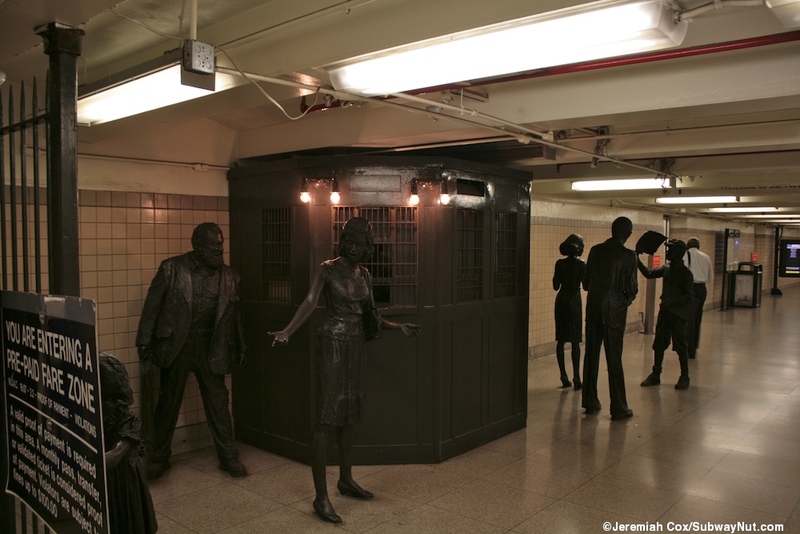 There is then a replica bronze ticket booth with a few statues of people standing around in 1930s garb. 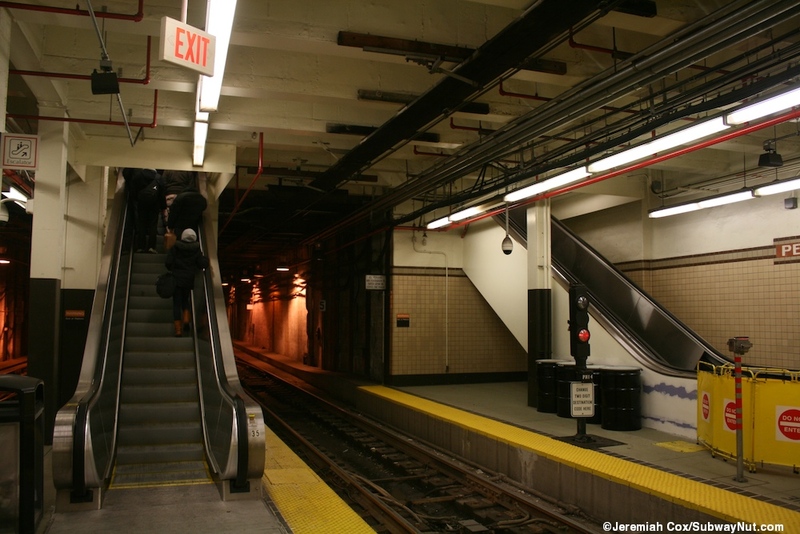 Next are the two closed staircases down to Platform 3 these each have Do Not Enter, Authorized Personal Only signs. 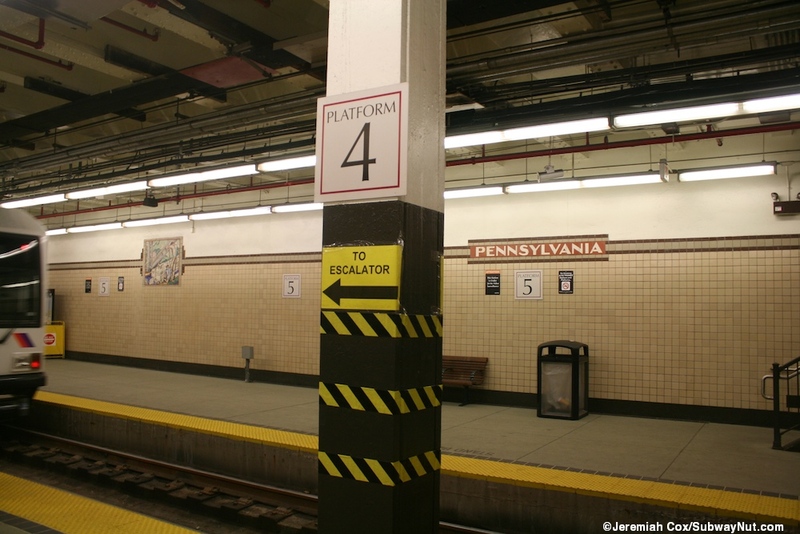 Platform 2 has an elevator and staircase and signs telling passengers for all stops on the Broad Street line to use this platform. Platform 1 has two staircase at the very end of the mezzanine and a large sign on the wall next to the staircase closest to where LRVs stop down to it listing all the stations on that branch.